UPSEE 2019 Rank List will be declared in the month of June 2019. AKTU/UPTU/UPSEE Rank List 2019 will be published by the Dr. A.P.J. Abdul Kalam Technical. It will be released via online mode. The merit list will contain rank and name of the candidates who appear and qualify UP State Entrance Examination (UPSEE 2019). The entrance test is organized to provide admission to first-year B.Tech/B.Arch/B.Pharm & BHMCT/BFAD/BFA & MBA/MCA/MAM courses. It also provides entry to the second year of B.Tech /B.Pharm/MCA programmes. Check details about AKTU/UPTU/UPSEE 2019 Rank List from here. The entrance examination of UPTU/AKTU is organized for 11 papers. There is a different paper for the different courses. UPSEE merit list 2019 will be prepared for each course separately. UPSEE scorecard will be released once the UPTU result is announced. The score cord indicates total marks and marks obtained in each subject. Students can download their score card through the official website of UPSEE. Candidates can also check the rank list as per the course-wise. UPSEE Result 2019 will be declared on last week of May 2019. Candidates, who are going to appear in the exam, can check the result through online mode. 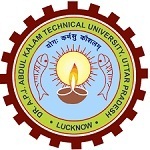 AKTU/UPTU/UPSEE Rank List will be released in the month of June 2019. It will be declared through online mode only. To get a position in UPTU/AKTU 2019 rank list, students have to qualify the entrance examination. UPSEE 2019 cut off for general candidates will be 25% (20% for SC/ST candidates). The qualified candidates will be called for UPTU counselling in order of their merit indicated in the merit list. Seat allotment will depend on the seat availability, candidate’s rank and choices filled by the candidate. Candidates who attempt less number of the incorrect answer will be ranked higher in the merit list. Secondly, the candidate’s elder in age will be placed higher over the younger ones in the merit list. This criterion is applicable for B.tech, B.Pharm, B.Arch, B.Tech (Ag. Engg. ), B.Tech (Bio Tech), BHMCT, BFAD, BFA, & Integrated MBA/MBA/MCA/Lateral entry. The AKTU/UPTU 2019 Cut-off will be released by the exam conducting authority after the declaration of result. The cut-off will be prepared on the basis of various factors related to the exam. It depends upon the total number of candidates appearing in the written examination, the difficulty level of the exam and number of candidates qualifying in the entrance exam. The cut-off is released category-wise for all the category candidates. Candidates can predict the college and courses which they can opt on the basis cut-off marks. Every year after successful conduction of the written examination, the authority conduct the counselling for the qualified candidates. It is necessary to qualify the entrance exam in order to appear in the examination. The UPTU/AKTU 2019 counselling is conducted through online mode from 10th June 2019. Candidates those successfully given the exam and qualified the exam are called for the counselling session. In the counselling, candidates have to opt the courses and college on the basis of their rank in the merit list. Candidates have to bring the necessary required documents for the verification on the day of counselling. If students have any query regarding AKTU/UPTU/UPSEE 2019 Rank List, they can ask us by commenting below. At this rank you will get the good private college. I have got 184 marks in UPSEE 2017 exam. rank is GN- 59127 OS- 3070.91.4% in CBSE boards exam. (3% in PCM.Can I get admission in JSSATE,Noida? sir i have got rank in UPTU MBA (GN 1235) (GL 480) (BC 320) (BCGL 114) can i get a good government college..
Sir i got 188 marks out of 300 in uptu paper 5 n my rank is 2589 in girls obc category …shal i get any government college or any gud college ?? Sir I got 1149 rank in uptu in sc category.can I get govt.college for B.tech. Sir, I got 1149 rank in sc category in your, can I get govt. College for B.tech. sir i have got 164 marks in obc in uptu. may i get any gov or private college. Sir i got 208 mrks in uptu exam can i gat gov. College? Hi, I get 148 Mark. Can I take in admission in Galgotia university.if no,tell about that where I get admission. Sir my OBC ranks is 71673 and general ranks is 22997,can I select the Government college. Sir, I got 292 Marks and my rank is 8816 in UPTU 2017 General category. can I get admission in Govt College. which college and stream you suggest. Please guide. Sir sc me kitne marks chaiye to get admission in biotechnology course plz btaaye mujhe. I got 200 mark in upsee examination can I get govt. College. And also give me criteria for Admission in b. Tech govt. College. I got 88 marks. My rank is 5969 in general and 1109 in girls can i got any added cog? We can tell you exactly but may you will get the admission in private college. We can’t say right now but you can appear in the counselling. I got 180 marks and 529 rank in uptu mba according to obc …can I get government college ??? I got uptu GN rank1466 , GL- 552 ,BC-590, BCGL-206..what type of college for me in b.pharma..goverment or not?? I have got 196 marks and GN ranks 4516 & GL ranks 2132,can I eligible a Govt Collage for Bio-B. Tech. I got 638 rank in general MBA so that I want to know wat college I ll allot in counselling. Sir, I want to know that what marks should be obtained to get the govt. College in uptu mba in general category. sir my marks in upsee 2017 is 160 in general category. i am from bio stream. can i get raj goel pharmcy college? depends on your percentage not marks. Uptu ka result one month se jyda time me aata… Itta late q ?? Is it HBTI in UPSEE or JEE mains? For getting a govt.collage in uptu b.tech u should score atleast 400+ marks. Sir , i got 280 marks in upsee exam. Sorry to say , but with 280 marks u cant get a govt.collage with a good trade. In order to get a good trade like CSE or ME with a govt.collage u should score atleast 400+ marks. sir i got 140 marks will i qualify uptu exam?? Sir my category is OBC . uptu garment college ke liye kitne marks chahiye? sir i have got 290 marks in upsee 2017 …can i get a govt college?? M SC cat. Se hu.mujhe upsee m b.pharm e gov. College se karne ke liye mujhe kitni rank chahiye…..?